Recognizing the leaders in education on the largest platform in college football. The Teacher of the Year Championship Experience, presented by Dr Pepper, is a program that has been developed by the CFP Foundation in coordination with the Council of Chief State School Officers (CCSSO). During the weekend leading up to the national championship game, the 56 State Teachers of the Year are honored guests at CFP Foundation events including the Extra Yard 5K and Eckrich Taste of the Championship. In addition, the teachers are treated to VIP hospitality at the Playoff Playlist Live! concert series and Championship Tailgate events. 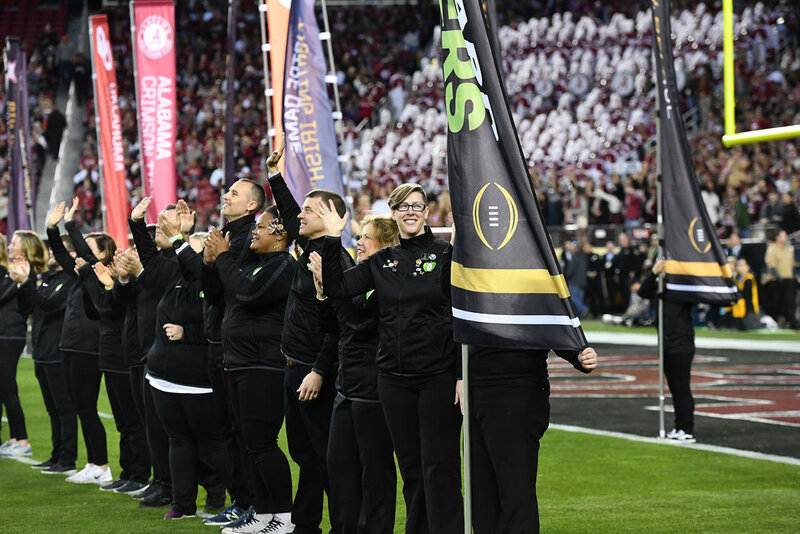 As the pinnacle of the weekend, the teachers are recognized on-field at the national championship game in celebration of their superb effort and dedication to the teaching profession. In 2020, The College Football Playoff Foundation is headed to New Orleans. Join us to support teachers!